I have begun using other designers' patterns for some variety. It also lets me have time for other things. 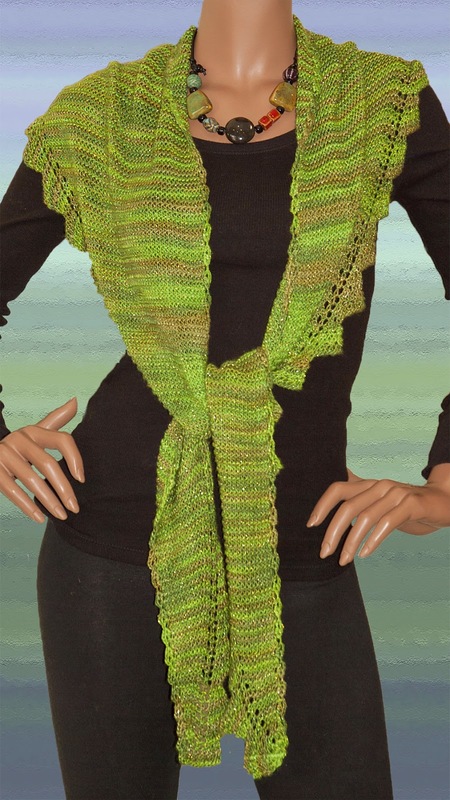 One of my favorite designs is the "Pimpelliese Shawl" by Christine Ebers. I have done this in several of our yarns. 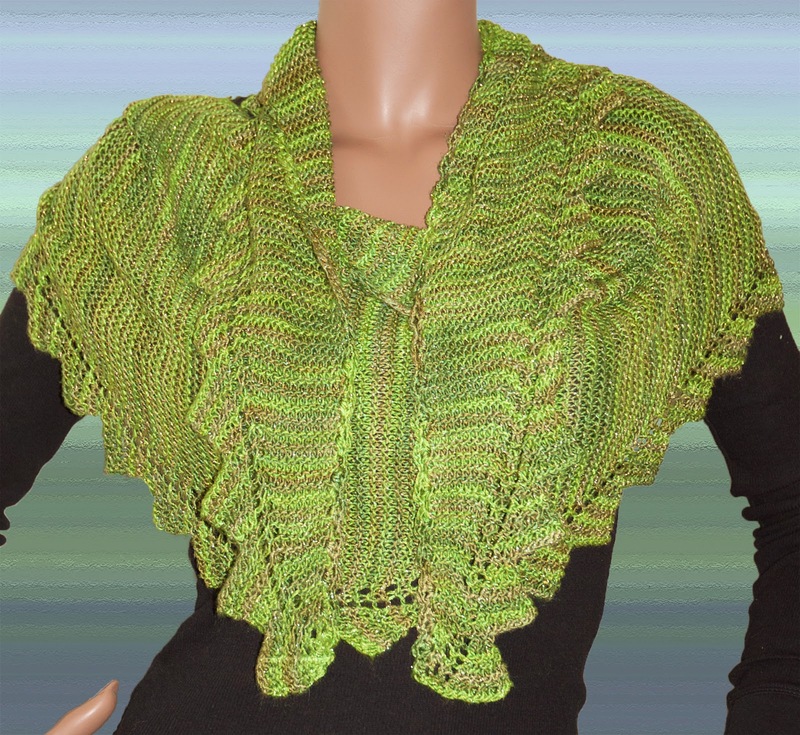 My latest one here is in our Rayon Metallic yarn in the color "Fern". I'm ready for spring so warm green is my color of choice. 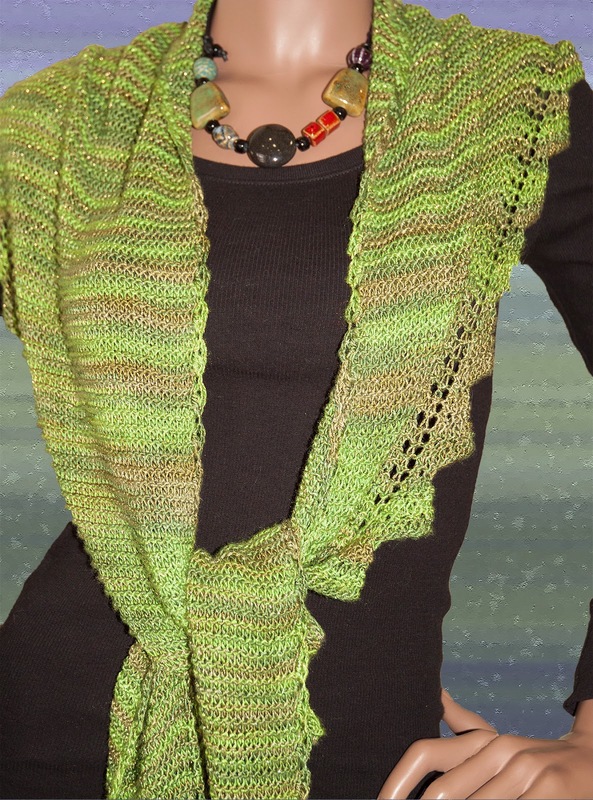 I used 1 skein and got a large shawl 72" long that drapes beautifully.